Behind the scenes it is little blue penguin breeding season! Over the coming weeks we'll share behind-the-scenes pictures and details about what it takes to raise penguins chicks on Central Wharf. After some time spent courting with each other, we are happy to report that a few of our little blue breeding pairs have laid eggs. The eggs are about the size of a small chicken egg, usually around 55 millimeters long and about 40 millimeters wide (that’s about 2 inches x 1 ½ inches). Little blues will usually lay two eggs a few days apart. They will incubate the eggs for about 38 days. After about 10 days of incubation we will candle the egg to see if it is fertile. 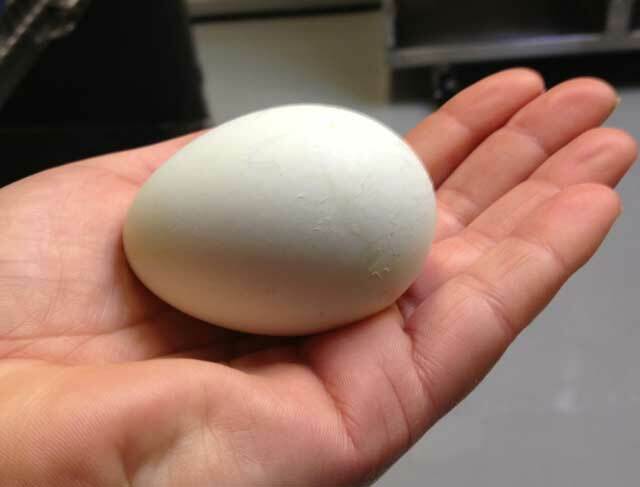 We use a candler, which shines a concentrated beam of light through the egg, allowing us to see inside the egg. If the egg is fertile the embryo appears as a dark spot surrounded by a web of blood vessels that become larger as incubation progresses. As the hatch date approaches, the growing embryo becomes so big that it takes up most of the space and all we can see is a dark mass and an air space, which the chic must initially break (or pip) into at the start of hatching. Here is a video of the little blue eggs being candled. Even with candling we still do not know 100 percent what is going on inside the egg so it is still exciting to wait and see how everything turns out. 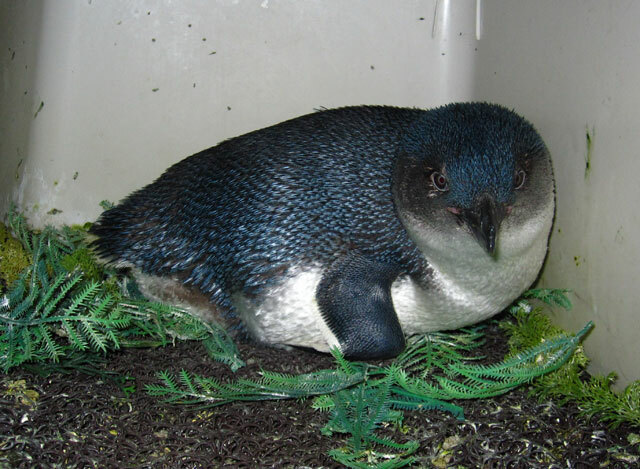 The little blue penguin breeding pairs will remain behind the scenes for a little while. But you can see the rest of the colony in their cozy temporary exhibit near the marine mammal center. Of course, you can't miss the African and rockhoppers in their usual exhibit while you're here. Visiting has never been easier. 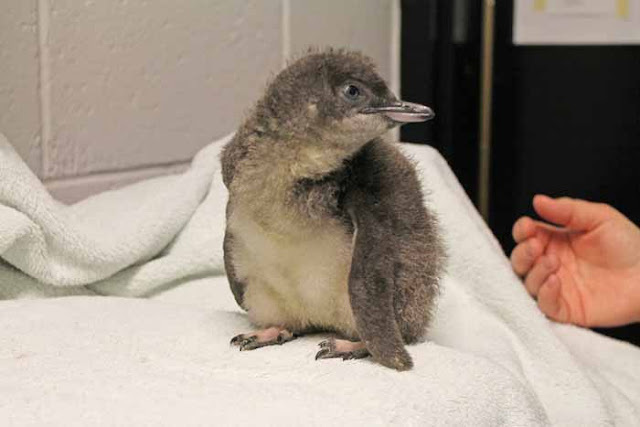 Choose the day and time you want to see the penguins with timed ticketing.